All systems go through our service department for complete testing of the equipment. The equipment is tested electronically for proper operation and to confirm all components meet factory electronic specifications. There are test points and values from the manual that we use. Also, the latest software is installed and tested. All mechanical items such as the recorder assembly are cleaned, lubricated and tested for exact operation. 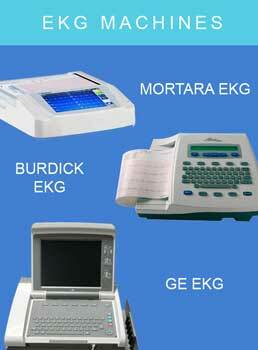 Any components electronic or mechanical not meeting factory specifications are replaced. The display is tested for brightness and the print head is tested for clear dark tracings. If the print head does not meet factory specification, it is replaced. 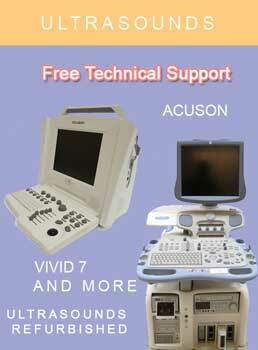 There are diagnostics built in to test many of the subcomponents. All circuit boards are removed, inspected and repaired or replaced as necessary and connectors tested for like new integrity. The inside of the system is cleaned and made to look like new. Cosmetics are carefully inspected and any blemishes are removed or factory matching enamels are used to refinish where necessary to make the system look new. The treadmill is completely disassembled and refinished as necessary to bring it up to a new appearance. Rollers are rebuilt and bearings replaced. Walking belts are replaced with new and internal belts are replaced as necessary. 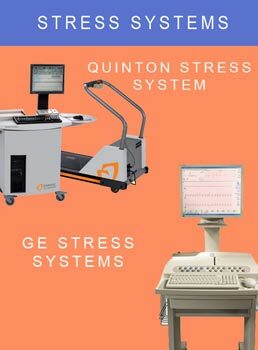 The monitor and treadmill are then tested individually and then joined as a system and checked for exact proper operation by running a full stress test. We then cycle the system leaving on for 12 hours, turning off to let cool and then turning on again. Just prior to shipping, our chief technician will set the monitor and treadmill up as a system and test one final time. It is then disassembled and all accessory parts, interconnect cables, patient cables, manuals, 1 pack of paper and a envelope of stress electrodes, stress belt, paper tray go into a box to insure that the system can be turned on and operated the same day it arrives. We spend an average of 24 to 48 hours to process a system through refurbishing.